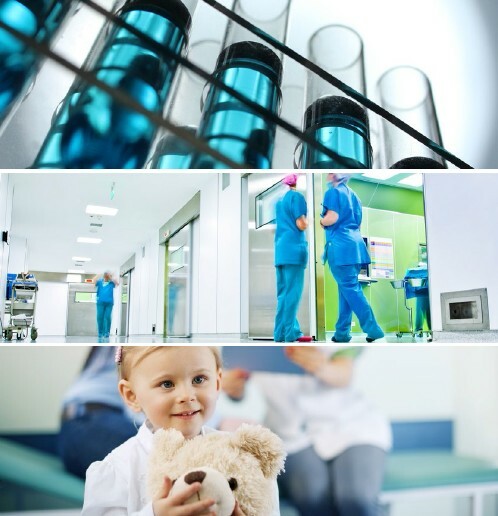 In 2015, the Daniel Bravo Andreu Foundation launched the first call for the Daniel Bravo Projects in paediatric research, which aim to foster collaborative research between clinical groups (which have direct contact with patients) and basic research groups, focusing on unmet medical needs in children through 16 years of age and under. The call awards three grants of up to 300,000 euros gross for projects conducted over three years at, at least, two different non-profit centres in Catalonia (hospitals, research centres in biomedicine or other disciplines, etc.). The proposals submitted were reviewed and evaluated by the Catalan Agency for Health Information, Assessment and Quality (AQuAS). • Collaborative research between VHIR and IIB: the project that will be carried out jointly by Eduardo Tizzano of the Vall d’Hebron Research Institute and Pablo Fuentes-Prior of the Sant Pau Biomedical Research Institute focuses on understanding and finding solutions to spinal muscular atrophy (SMA), the second most serious hereditary childhood disease, which affects 1 in 6,000 children. It is a minority disease for which there is currently no specific treatment. • Collaborative research between IdIBGi and HSJD: led by researchers Ramon Brugada and Josep Brugada from the Girona Biomedical Research Institute and Hospital Sant Joan de Déu in Barcelona, respectively, will launch a ground-breaking project featuring 60 families that have suffered sudden unexpected death syndrome to conduct an exhaustive genetic analysis of the 77 main genes associated with this disease. The project will use Next Generation Sequencing technology and a personalised gene panel to obtain the diagnostic tools necessary to prevent sudden death. • Collaborative research between IC3 and HSJD: the project to be conducted by the Catalan Institute of Climate Sciences and Hospital Sant Joan de Déu, led by researchers Xavier Rodó and Jordi Anton, aims to discover the etiological agent of Kawasaki disease, to advance understanding of its epidemiology and to create an early warning system to anticipate periods of increased incidence. This disease is the leading cause of acquired heart disease among children in developed countries.